On our recent trip to Arizona (including Sedona and the Grand Canyon), we were talking about the Grand Canyon being one of the Seven Wonders of the World. The Grand Canyon is a stone formation that has been carved by water, winds, seas and sands that gets more than 4 million visitors a year. It is 277 miles long, 18 miles wide and 1 mile deep. Anyway, it looks like I’m not alone. Many people wonder about the top wonders of the world, and there’s even a catch-all list of sorts called the “Top 100 Wonders of the World” that’s been created — probably so people can just say that they’ve been to one of the Top Wonders of the World or something… Count me in! All this “wondering” led me to consider the many places that I have been — far and wide — and I began to wonder where those places rank on the “Top 100 Wonders of the World” list. 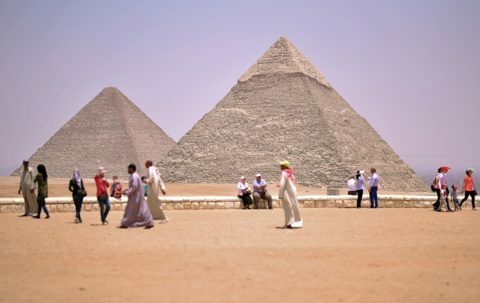 Want to see if the places you have been appear on the Top Wonders of the World list? Here are the Top 100 Wonders of the World. Okay, so I’m not quite the world traveler that I thought I was! #1 New York City – uptown, downtown, and several all-expense-paid trips to the Big Apple at that! #2 Florida Keys – try parasailing, kayaking (and tipping your canoe in the MIDDLE of the shark-infested ocean out there by yourself! ), bike riding, camping solo on the beach, and more. #4 Lake Tahoe – where the snow skiing is just Heavenly! #5 Destin, Florida – so pristine with sandy white beaches… so cool you might wanna name your dog after it! #6 Adirondack Mountains, NY – the most beautiful Fall scenery around — including Lake Placid (home of the 1980 Winter Olympics) and Whiteface Mountain. #8 Orlando, Florida – there’s more to Orlando than Disney World. Life is good when you can work AND play like a tourist year round! #10 Atlantic City – home to the Miss America Pageant, but I went for the Boardwalk and Casinos.